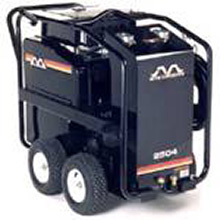 Shark Pressure Washers series of self-contained, gasoline-powered hot water pressure washers are ideal for on-site cleaning. 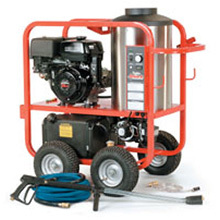 The 4 models of the SGP series deliver cleaning power of 3-4 GPM and 3000-3500 PSI of pressure. 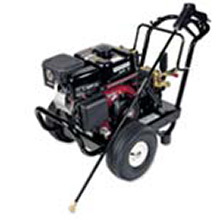 All are powered by Honda engines, 9 to 13 HP, with two models featuring electric start.